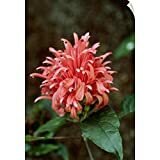 Justicia carnea growing shrub‎ of the genus Justicia also known as Brazilian plume flower, Flamingo flower, Justicia carnea perennial evergreen plant, used as ornamental plant for the flowers, can grow in subtropical, mediterranean or temperate climate and growing in hardiness zone 8-11. Leaves color green in elliptic shape sometimes with a little twist. 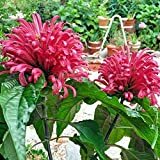 Flower color red, white or pink in tubular shape that grow on bracts in hive shape. Justicia carnea at the garden . 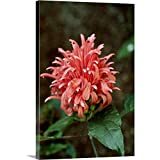 CANVAS ON DEMAND Adrian Thomas Wall Peel Wall Art Print Entitled Brazilian Plume (Justicia carnea) 12"x18"
GREATBIGCANVAS Gallery-Wrapped Canvas Entitled Brazilian Plume (Justicia carnea) by Adrian Thomas 12"x18"